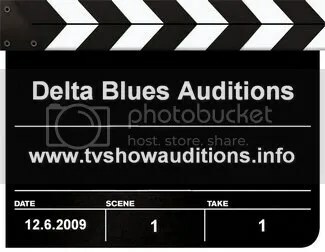 Television show auditions are now underway for a 1 hour pilot episode of a TNT series titled "Delta Blues". The show is being produced by George Clooney and will begin filming in New Orleans on December 6, 2009. Auditions are being held in both Los Angeles and New York. Television Show Auditions For "Delta Blues"
The popular single camera ABC sitcom "Cougar Town" is currently in production and is casting day players and extras. The show takes place in the fictional town of Gulf Haven in Sarasota County, Florida but is filmed in Culver City, CA. This series is under AFTRA contract. The hit CW television show "Vampire Diaries" is in production and casting for supporting roles and extras will continue throughout production. The show is filmed in Atlanta, GA and most of the roles now are being cast by Fincannon & Associates. The main starrig roles are cast by GO Casting in Los Angeles. The extra casting directors for the feature film "The Town" are seeking extras to work on Monday, November 16th at the Mohegan Sun Casino in Connecticut. The project is starring Blake Lively and Ben Affleck. Affleck is also directing the film. Extra Casting is especially seeking adult men and women 21+ years of age. Extras would need to provide their own transportation to Mohegan Sun Casino. No Ties Management, a San Diego-based fashion-modeling agency, will host an unprecedented San Diego citywide model search starting in the San Diego area beginning November 21st, 2009. No Ties Management is a Boutique Modeling agency based in San Diego,CA. They have lots of connections all around the world and book their models with international clients as well as local. No Ties Management is not a school or a training facility. Gari Media Group is holding a commercial audition this coming Friday for a "Lifestyle Spot" consisting of people and reading the paper. The shoot dates are November 17 & 20th, 2009 in Columbus, Ohio. Please email photo, resume and webpage links ASAP. Disney Channel has picked up the new 1/2 hour scripted series "Janet Saves The Planet" and Disney casting directors for the show are casting the series regulars. The show is written and produced by Emmy Award nominated Jane Milmore and Billy Van Zandt.